This newly-refurbished hotel occupies an iconic building with many of Central London's best-loved pubs and restaurants surrounding it. Your hotel is within 10 minutes of Trafalgar Square, Leicester Square and Covent Garden with Somerset House just across the road. 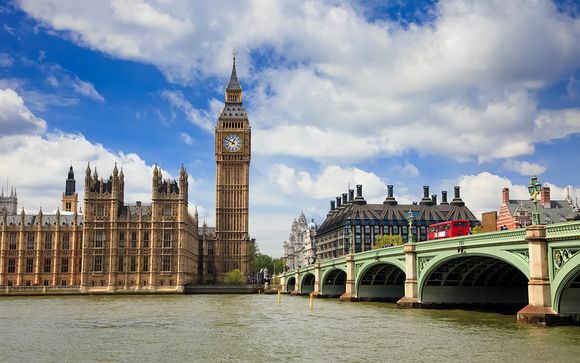 London in the summer is a beautiful and busy place, with street food markets, open-air cinema, festivals, parks and lidos vying for your attention. With so many of London's most sought-after postcodes, iconic sights & world-class restaurants packed into this small area, you will be hard-pressed to find a place with more to distract you. Modern marvels, ornate historic buildings and regal Georgian townhouses all play host to some of London's most defining characteristics: think epic nightlife in SoHo, fascinating afternoons in the British Museum and fabulous shopping on Oxford Street. The beautiful and newly-refurbished Strand Palace Hotel is perfectly located in the heart of Britain’s most exciting and vibrant city, London. You are moments away from the heart of this historic and romantic city. Steeped in history, you can take time to wander and explore the diverse cultures and atmosphere that only London life can offer, and at the end of the day, enjoy the very best in relaxation, whilst you wine and dine in style. Bedrooms are bright, contemporary and well designed with thoughtful touches including complimentary mineral water and carefully chosen amenities. There's also a handy hotel gym to keep you energised should you desire a spot of exercise. This offer is based on a Standard Double Room or Standard King Room. Bright, modern and contemporary, standard rooms provide chic urban design in the heart of central London. 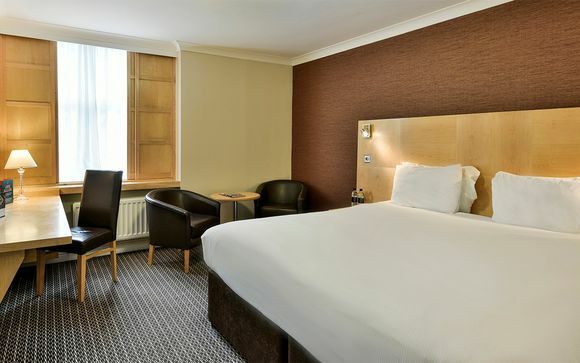 Each room includes en-suite bathroom, LCD satellite equipped TV and in-room safe and is equipped with complimentary high-speed Internet access, perfect for sending emails or uploading the day's photos. Daawat, a restaurant to whisk you away on a tempting and mouth-watering journey, full of eastern promise. Daawat, offers contemporary Indian cuisine. Come to a place where contemporary furnishings fuse with traditional dining to create a complete experience. Choose from an extensive carvery buffet moving on to feast on your favourite roast with all the trimmings or food from our superb grill. Home of the Covent Garden Afternoon Tea, located off the main lobby, the expansive new Lounge Bar is an ideal place to conduct a private meeting or have a friendly get-together. Serving the traditional Covent Garden Afternoon Tea daily, light refreshments, a wide range of coffees and teas, and with a fully stocked bar, the Lounge Bar is perfect for drinks and snacks throughout the day or for afternoon tea. Choose from a multitude of delicious cocktails in the sophisticated ambience of the Gin Palace. Be it drinks before a show or a nightcap to end a great evening, the Gin Palace is the ultimate venue to unwind and relax. Enjoy a relaxing cocktail in the sophisticated ambience of the Mask Bar. Be it drinks before a show or a night cap to end a great evening, the Mask Bar is the ultimate venue to unwind and relax. 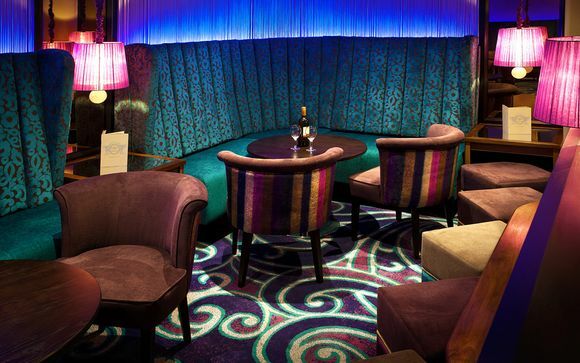 Nook Bar offers an informal setting and is the ideal location for after work drinks, pre-theatre nights and social events. If you are a fan of gourmet and exotic coffee, we welcome you to discover Sacred Cafe latest opening at the Strand Palace Hotel. A truly world class coffee. This offer is accommodation only.